Getting great sleep is one of the foundations for health. With excellent health our bodies are better able to burn body fat, fight off infection and approach our daily stresses with greater kindness and compassion. It is impossible to do this consistently without great sleep. Yet experiencing a great night’s rest in today’s world is often challenging. Embrace the healing properties of plants in Sleep Restore to help soothe your nervous system and prepare your body for great sleep. 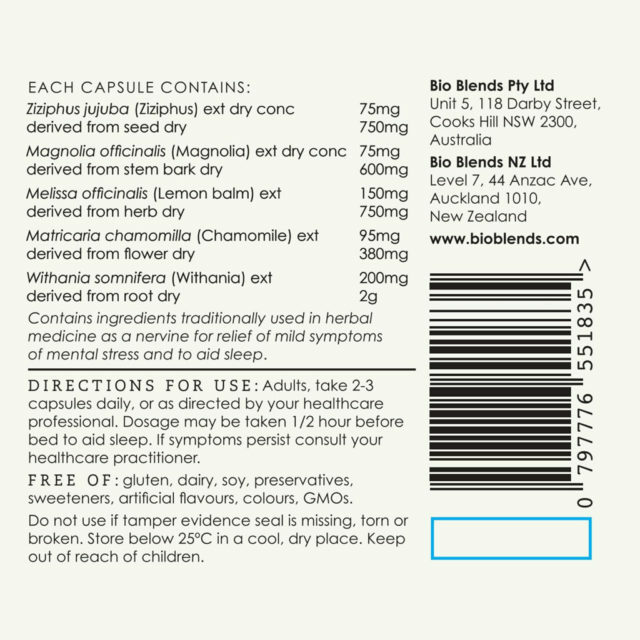 Free of: gluten, dairy, soy, preservatives, sweeteners, artificial flavours, colours, GMOs. This synergistic blend of herbs has been specifically designed to assist those who have trouble getting off to sleep, as well as those who find it difficult to stay asleep. The potent combination of herbs, including magnolia, zizyphus, lemon balm and chamomile have a sedative action on the nervous system – calming, easing anxiety and most importantly helping to uncoil a busy mind – without creating any drowsiness the following day. The addition of withania, provides further nervous system support due to its nourishing and replenishing action on the adrenal glands. Feel your body start to relax as the gentle sedative properties of Sleep Restore assist you in achieving a restful night’s sleep. 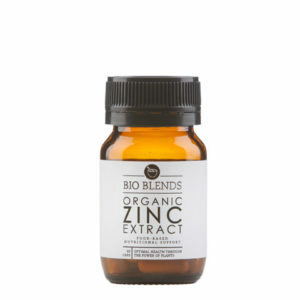 This blend can also be of benefit for people facing additional stress such as those sitting exams or shift workers. 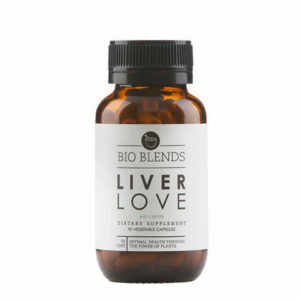 Consider combining it with Liver Love, Cycle Essentials (for women only) and Organic Daily Greens & Radiant Reds for enhanced results. 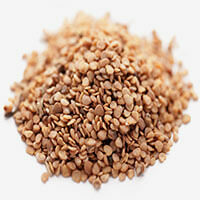 Assists muscle relaxation and has a sedative effect on the nervous system. With anti-anxiety and anti-depressive properties, it can support the adrenal glands and may assist with mood and sleep disturbances. 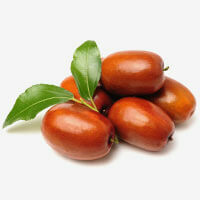 When combined with zizyphus, it has been shown to promote relaxation and a restful sleep, with a reduction in fatigue. 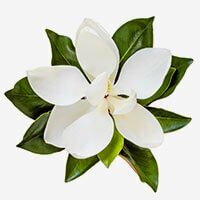 Enhances mental relaxation (helps to uncoil a busy mind) and improves sleep quality. It is an anti-anxiety agent and can decrease sympathetic nervous system (SNS) activity (the arm of our nervous system that amps us up by activating the fight and flight response). Animal studies have shown that it can reduce the time it takes to get to sleep in addition to increasing both non-REM and REM sleep. A soothing herb, used to reduce anxiety and promote sleep. Its ability to increase calmness has been clinically demonstrated, and it has been shown to reduce anxiety, anxiety-associated symptoms and insomnia compared to placebo. 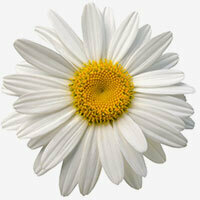 Anti-anxiety and stress-relieving, it has traditionally been used to treat insomnia. With mild sedative properties, it may help to induce deep sleep. Promotes sleep and may enhance sleep quality. 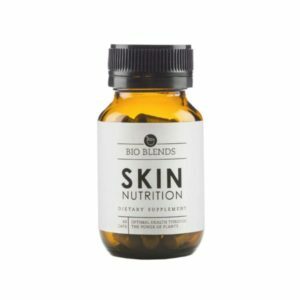 Wonderfully supportive for the nervous system, it nourishes and replenishes the adrenal glands and supports healthy cortisol levels. Excessive cortisol production can interfere with your sleep cycle and may lead to sleep disturbances. In addition to anti-inflammatory and anti-depressive effects, it is a potent anti-anxiety agent, and is particularly beneficial for chronic stress and symptoms such as fatigue. 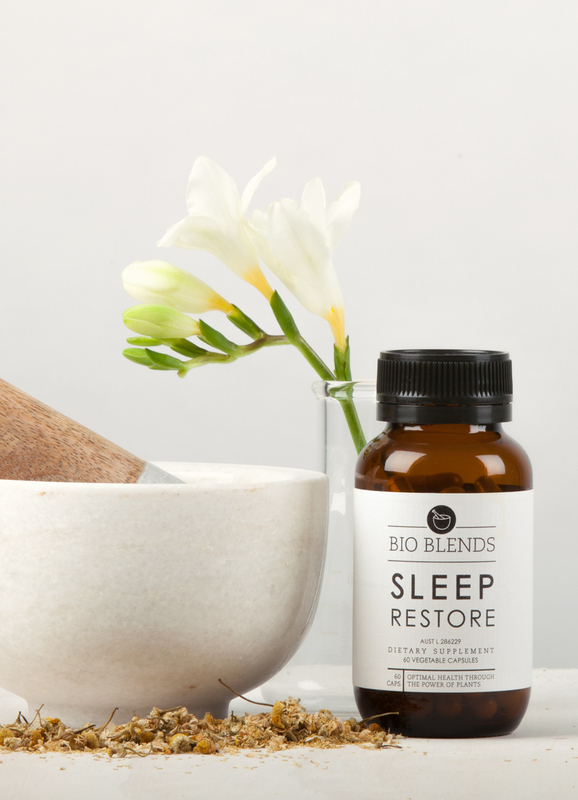 Whether you’re having trouble falling asleep or find yourself waking through the night, Sleep Restore by Bio Blends has been scientifically formulated to help you achieve great rest. 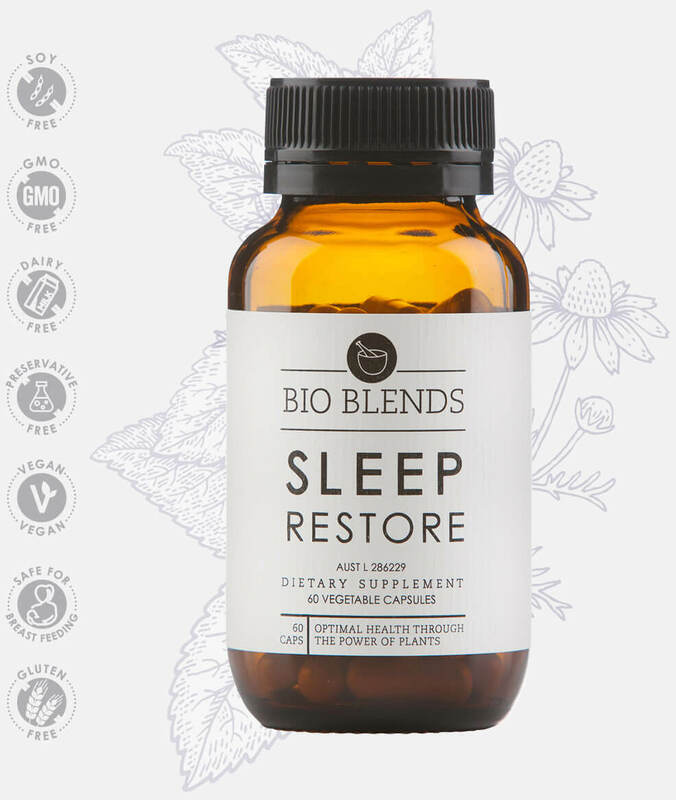 Using the culmination of Dr Libby’s two decades of research and clinical experience, Sleep Restore has been formulated to relax your nervous system to foster restorative sleep and support your adrenal function. The potent combination of herbs, including magnolia, zizyphus, lemon balm and chamomile have a sedative action on our nervous system – calming, easing anxiety and most importantly helping to uncoil a busy mind – without creating any drowsiness the following day. The addition of withania, provides further nervous system support due to its nourishing and replenishing action on the adrenal glands. Experience the difference a restorative night’s sleep can make to your health with Sleep Restore. 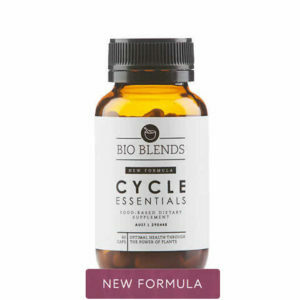 As with all Bio Blends formulas results tend to amplify over duration of consumption so for chronic sleep issues, we recommend at least three months to give your body a chance to respond. Studies using magnolia and zizyphus demonstrated very good results in two weeks of regular use, with better results found over a longer period of use, specifically 4.2 months. 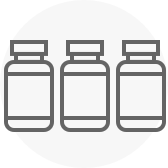 In trials of the product, some people noticed better sleep quality after one week of taking Sleep Restore, while for others improvements were noted after three weeks. People from both groups who typically get up numeorus times during the night to urinate, reported a decrease in both waking and the need to get up and use the bathroom. Please note that these sleep supporting herbs are not drugs. They will not knock you out. The benefits include their effects on the nervous system – relaxing and nourishing – and it is this restorative action on the nervous system that ALL people who have trouble sleeping need. 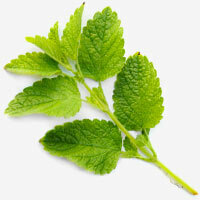 The more prolonged, regular use of these herbs, the better people will sleep and also feel and perform during the day.